The ballet “Nutcracker” has long been an established tradition, many decades it gives a festive mood to avid theater-goers and even to far from art people. We are accustomed to the classical productions of this heartwarming children's tale, but the famous for his bold ideas choreographer Radu Poklitaru offers to viewers a completely unexpected interpretation of the romantic story about the bewitched Prince. 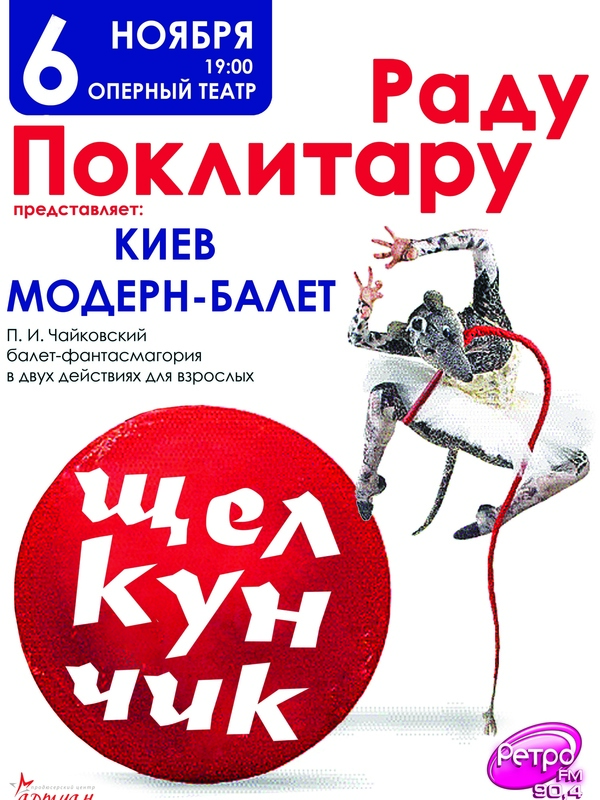 The head of the troupe “Kiev modern ballet” used as a base magical Tchaikovsky’s melodies, turned them into a phantasmagoria, full of contrasts and original plot twists. The production of “Nutcracker” by Radu Poklitaru is impressive in its scope, it involved a record number of artists, and the scenery created specially for this performance is incredibly impressive. The "home" troupe’s stage in Municipal academic opera and ballet theatre for children and youth just does not fit this huge affair. Similarly, there are no enough places for everyone who want to see daring extravaganza in the small auditorium of the theater. That's why the ballet now is destined to occupy the best concert venues and theatre halls in Europe.